Item # 308621 Stash Points: 2,195 (?) This is the number of points you get in The Zumiez Stash for purchasing this item. Stash points are redeemable for exclusive rewards only available to Zumiez Stash members. To redeem your points check out the rewards catalog on thestash.zumiez.com. 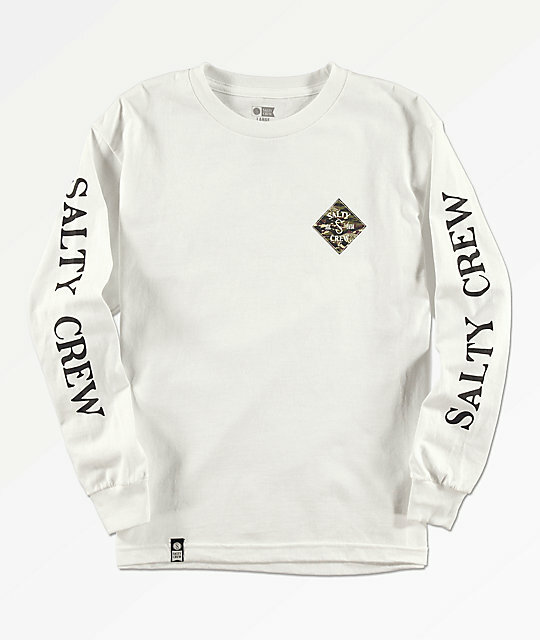 Join the saltiest of crews when you wear the Tippet Cover White Long Sleeve T-Shirt for boys from Salty Crew. This white cotton tee features long sleeves with screen-printed logo text in black, and is finished with green camo logo graphics at the left chest and back. A relaxed fit and crew neck collar keeps things casual and comfortable for all of your adventures. 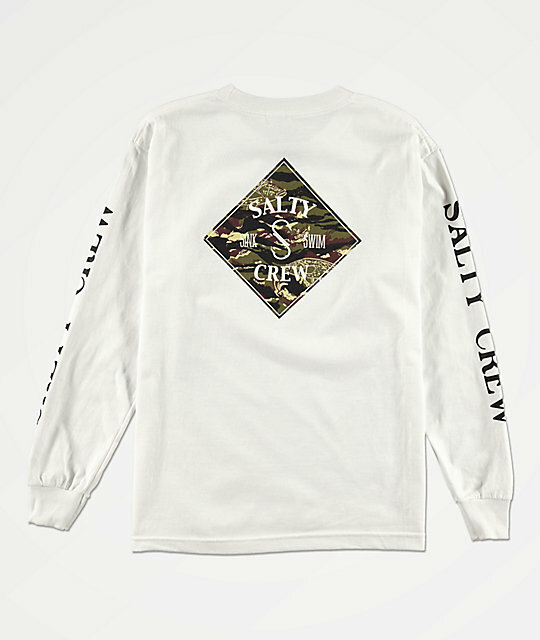 Tippet Cover White Long Sleeve T-Shirt for boys from Salty Crew. Screen-printed graphics at the left chest, back & sleeves. Woven brand tag on the bottom right hem.